Nixwax Tech Wash is aimed at newer waterproof garments and waterproof fabrics such as tents and is designed to be a washing agent for both new and old gear as well as revitalising the DWR treatment on were gear. Once the gear becomes old and worn the DWR treatment has usually worn off and Tech Wash becomes the initial treatment that should then be followed up with Nikwax TX Direct Wash-In which is designed to replace the DWR coating. This means that you need to decide what stage your gear is at to determine whether the care regime becomes a one step or two step process. A bottle of Tech Wash will do three washes in most cases unless you are in an area with hard water then you will only get two washes out of a bottle. When you’ve spent money on good quality waterproof gear you want it to keep you dry otherwise why bother. Use this product when your waterproof fabric or not beading water anymore for when it becomes filthy after a hike. Washes and revitalises newer DWR treated equipment such as wet weather gear and tents and acts as the first stage in the rejuvenation process for older equipment where the DWR coating has worn off. As a washing and rejuvenation production were DWR create equipment such as rain gear and tents and as the first step in bring older gear back to life. 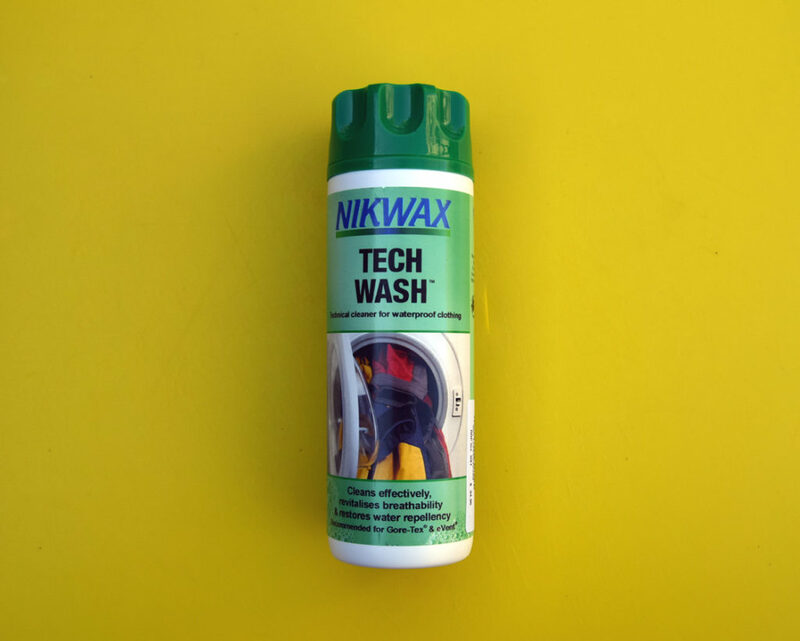 If you have used the Nikwax Tech Wash or if you have questions, we’d like to hear from you. Post your comment or question below. Nikwax do an amazing range of cleaning and protective products that help to keep your gear in top condition. This review was done with product purchased from a retail store by Australian Hiker.